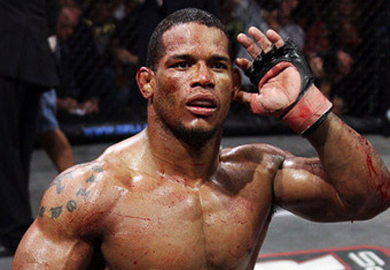 Earlier this week, it was rumored that former Bellator middleweight champion Hector Lombard (32-4-1 MMA, 1-2 UFC) was considering a drop from 185-pounds to the UFC’s welterweight division. Lombard dominated all of his competition from 2007-2011, going 24-0-1 in that time, which included a lengthy title run with his former employer Bellator MMA. However, Lombard failed to find the same type of success within the UFC’s middleweight division going 1-2 in his first three octagon appearances. Hector confirmed to “UFC Tonight” that he has in fact decided to make the drop from middleweight down to the 170-pound weight class and that he has his eyes set on former Strikeforce welterweight champ Nate Marquardt (32-12-2 MMA, 10-5 UFC) for his first opponent. There has been no word from UFC officials as to when Lombard will make his welterweight debut or if they will grant him his wish and give him Nate Marquardt as his first 170-pound opponent. Is this a fight you would like to see? Let’s hear it Penn Nation!